In today's modern world of millionaire footballers, sponsorships and rock-star lifestyles, this is the story of an "everyday" footballer from a by-gone era, when just playing the game was all that mattered ! Albert Page was born in Walthamstow, East London on 18th March, 1916. The son of a working class family, Albert had one passion in life - football ! - and as a young boy, Albert's team was Leyton Orient. 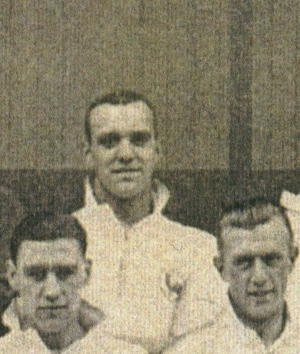 As a promising junior, turning out for the local boys' club and then playing as an amateur, Albert was given the chance for his lifelong dream to come true, when he was offered a trial at then Second Division club Tottenham Hotspur and impressed enough for the club to offer him a deal to join the first team squad ! 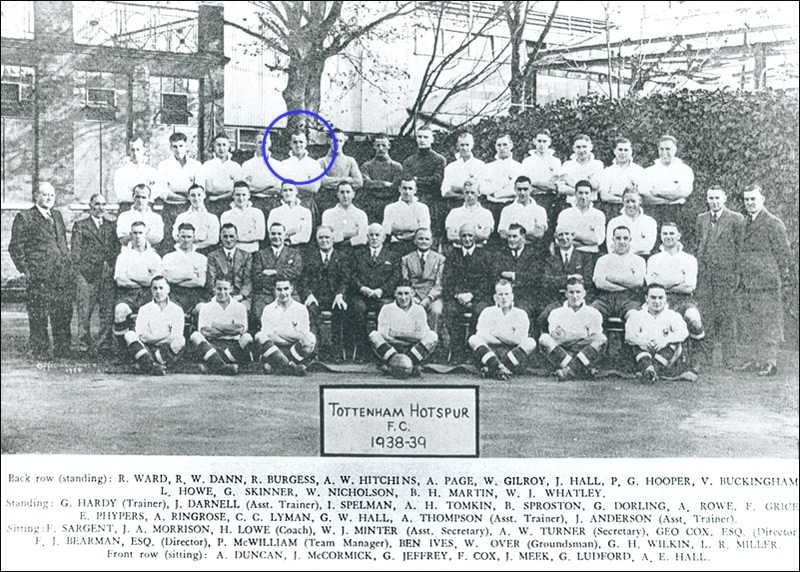 After the usual discussion with his parents, Albert signed pro forms for Spurs in the summer of 1936 (eventually playing in the same team as a young Billy Nicholson!) and his first wage as a professional footballer was £4 (Four Pounds) a week! Playing in the reserves for the first few months of his time at White Hart Lane, Albert made his full debut for the club against Newcastle United on 9th Jan 1937, a game Spurs lost 1-0 ! Playing as a centre-half, "Darky" Page as he became known by the fans, would be a regular first team player until the outbreak of World War II and as with so many footballers of his generation, the War cost Albert his best years in the game. For the duration of the war, Albert and several London based players played in various "War Leagues" while being on Army reserve. He played at a variety of different clubs including Leyton Orient, Colchester United and Gillingham. When professional football finally resumed in late 1945, Albert was once again back at White Hart Lane. Now a thirty year old "senior player", like so many other players at that time the war had a devastating effect on families up and down the country and with a young family to support the time had come to seriously think about getting a "real job". After a brief spell with Colchester United, Albert finally retired from football in 1948. He went on to become a postman in his native Walthamstow and later a caretaker in an office complex. Playing just 55 games for the club, Albert Page is hardly a name that fills Spurs fans with pride. In fact most, if not all of you, have never even heard of Albert Page, but his story is so typical of his generation. ... he was my grandfather ! Sadly, Albert passed away in January 1995. As a lifelong Spurs fan, growing up with "Grandad" telling me all his stories sent me off to sleep on many an evening. To me he is, and always will be, a true footballing hero and Spurs legend!